Meningitis is the inflammation of the meninges which are membranes that surround the brain and spinal cord. The swelling from meningitis usually causes what are called “hallmark” signs and symptoms of the condition which includes headache, stiff neck and fever. In The United States, meningitis is usually caused by a viral infection although it can also be caused by bacterial or fungal infections. Depending on the cause, meningitis can be life-threatening requiring the immediate treatment with antibiotics or it can get better on its own within a few weeks. Early treatment of meningitis helps reduce risk of complications. It is often caused by viral infection but can also be due to a bacterial infection. Although less common, it can also be caused by a fungal infection. The most serious type of meningitis is caused by bacterial infections. 1. Skipping Vaccinations: Child and adult vaccinations are important in preventing meningitis. 2. Age: Viral meningitis usually occurs in children below 5 years old. Bacterial meningitis typically affects people below 20 years old. 3. Living In A Community Setting: This includes students in dorms, personnel on bases and children in boarding schools. 4. Pregnancy: Pregnant women have a higher risk of getting listeriosis which can cause meningitis. 5. Compromised Immune System: An impaired immune system makes a person more susceptible to meningitis. Bacterial Meningitis: Acute bacterial meningitis is often from bacteria that enter the bloodstream reaching the brain and spinal cord. It can also be because of the direct bacterial invasion of the meninges. The most common strains of bacteria that cause meningitis are streptococcus pneumonia, Neisseria meningitides, haemophilus influenza and listeria monocytogenes. Viral Meningitis: Viruses are the most common cause of meningitis but it is often mild and goes away on its own. Enteroviruses are responsible for the majority of meningitis cases in the US but other viruses like herpes simplex virus, mumps HIV and West Nile virus can also be the cause. Chronic Meningitis: This occurs when slow-growing organisms enter the membranes and fluid that surrounds the brain. It develops in a time span of two or more weeks. Fungal Meningitis: It is uncommon and is the main cause of chronic meningitis. Unlike bacterial meningitis, it is not contagious. It is life-threatening without the use of antifungal medication for treatment. Diagnosis is made based on medical history, the signs and symptoms, physical examination and using specific diagnostic tests. The physical examination involves checking for signs of infection around the head specifically in the ears and throat. The skin along the spine will also be checked for signs. 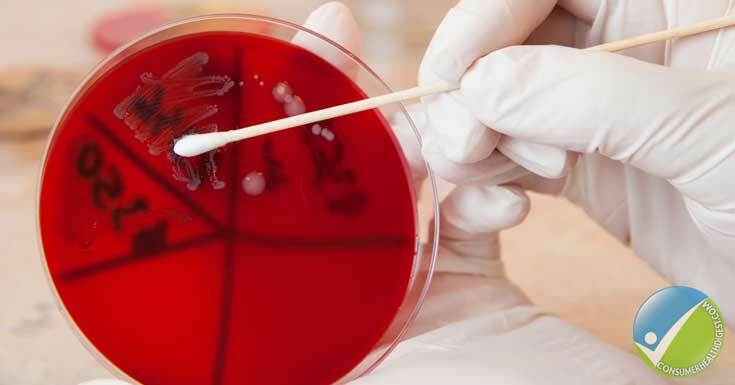 Blood Cultures: Blood is drawn then placed in a special dish to check for growing microorganisms in a laboratory. Imaging: This will reveal swelling or inflammation while checking other areas of the body for signs of meningitis. Spinal Tap: This is for definitive diagnosis which involves analysing the cerebrospinal fluid. People with meningitis have fluid that has a high white blood cell count, increased protein and low glucose. The treatment for meningitis depends on the particular type or cause. Bacterial Meningitis: For acute bacterial meningitis, prompt treatment using intravenous antibiotics and cortisone medications can help ensure recovery and prevent complications like seizures and swelling of the brain. The doctor will choose a combination of antibiotics depending on the specific bacteria that is causing the infection. Broad-spectrum antibiotic is used until the specific cause of the meningitis is determined. If there is an infected sinus or mastoid, they will be drained. Viral Meningitis: Most cases improve without any treatment in several weeks. However, the patient needs plenty of bed rest, sufficient fluid intake and pain medications. For meningitis caused by herpes virus, there is an antiviral drug available. Other Types of Meningitis: If the cause is unknown, antiviral and antibiotic treatment can be used while the cause is still being discovered. Fungal meningitis requires the use of antifungal medications, but the problem is that these medications can cause serious side effects, so the treatment is not given until fungal meningitis is confirmed by the laboratory. Meningitis can be prevented by practicing good hygiene and washing your hands thoroughly especially after exposure to potentially infectious agents. Staying healthy by eating nutritious foods and exercising regularly help improve your immune system. This helps in preventing meningitis. Child and adult immunizations are very important in prevention. Self-care is simple; you just need to rest and drink plenty of fluids while taking over-the-counter drugs to manage pain and fever.